During a presentation by Kevin Good, a senior analyst at the research firm CattleFax, I learned it was just as likely that my burger contained beef from Holsteins, those dappled black-and-white dairy cows. My first reaction was, "Meat? From a dairy cow?" Then Good asked the hundred or so ranchers attending his lecture a question. Hands around the room shot up. “Oh, that’s all I’ve eaten,” said one producer with a chuckle. He was wearing a cowboy hat, button-down and jeans. “I’m sure if you’ve bought products in the grocery store, more times than not, or in restaurants, you probably have [had beef produced from a Holstein],” Good said, clicking to the next slide in his PowerPoint presentation -- a chart showing the decline in the slaughter of cows with hides at least 51 percent black. That group includes the ever-popular Black Angus, among others. In the U.S., Black Angus are the most popular breed raised for beef by far. There are more than 300,000 registered Black Angus raised for beef in the U.S., according to Dr. Bob Hough, an animal scientist who has written several books about cattle breeds. There are some 65,000 each of the Hereford and Charolais breeds and about 49,000 Red Angus cows and Simenthal cows in the herd. (Get the numbers for other registered beef breeds here.) By comparison, there are 339,000 registered Holsteins, but of that number, only male Holstein steers are currently being raised for meat. Good explained to the room that back in the 1970s, some 5 million dairy cow calves were harvested for veal production. Today, the size of the U.S. dairy herd hasn’t changed much. But the number of dairy calves processed for veal has shrunk to roughly 650,000 head. “All those calves now go into fed beef production,” Good said. “So, productivity from the total herd has increased just because of the way we’re utilizing the Holstein." By total herd, Good is referring to the total number of cows the U.S. produces for beef. Since the 1970s, that total herd has decreased from 130 million head to less than 90 million head. But during that same period, beef production per cow has increased by roughly 50 percent, meaning American ranchers are producing more beef from fewer cows. But using Holsteins more efficiently isn't the only reason ranchers are more productive. 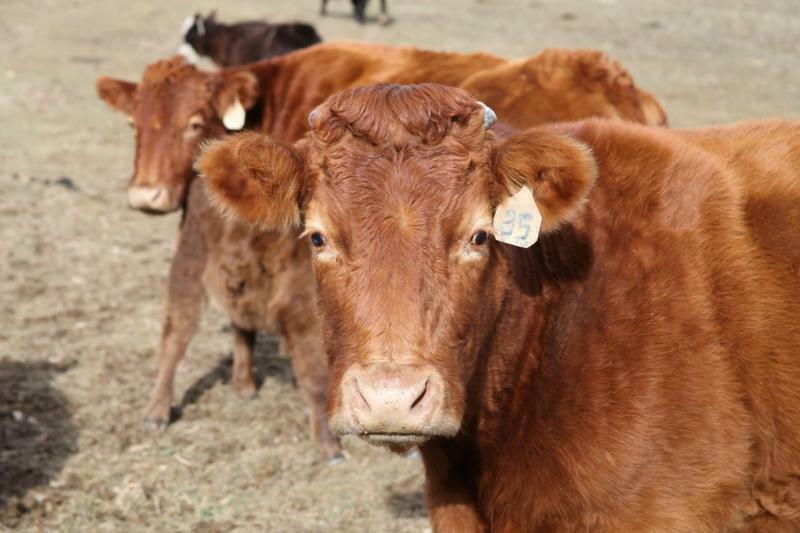 The primary reason is that cattlemen are producing heavier cows, cows that have been weighing in at about 6 pounds heavier each year, according to Good. Still, it won't be easy for the beef industry to continue to grow. While beef production has become more efficient in the past several decades, pork production per sow has increased at a much greater rate – by 150 percent since the 1970s – in part because beef production is much more expensive than pork production. Other factors that will affect the total cattle herd next year: weather, increased input costs, this year's large cow slaughter, the move to take land out of pasture and put it into alternative uses like cropland and cattle producers getting older and aging out of the business. 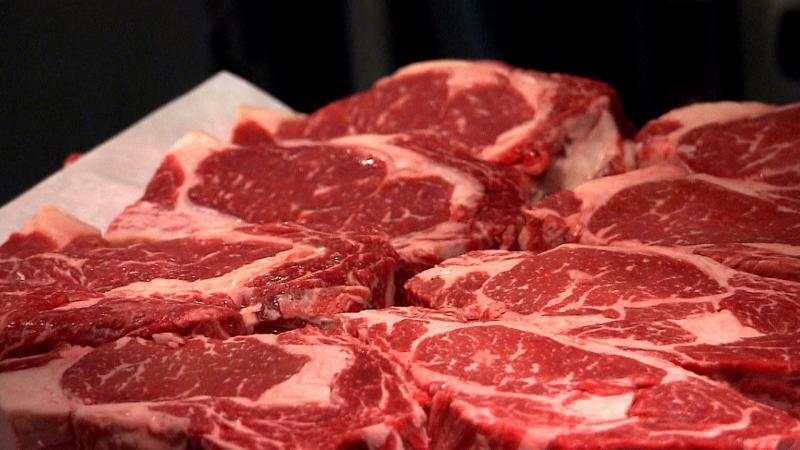 In the meantime though, the beef industry will continue to try to produce beef even more efficiently and to convince consumers that beef really is the tastiest thing for dinner, whether it comes from a Black Angus or a Holstein.